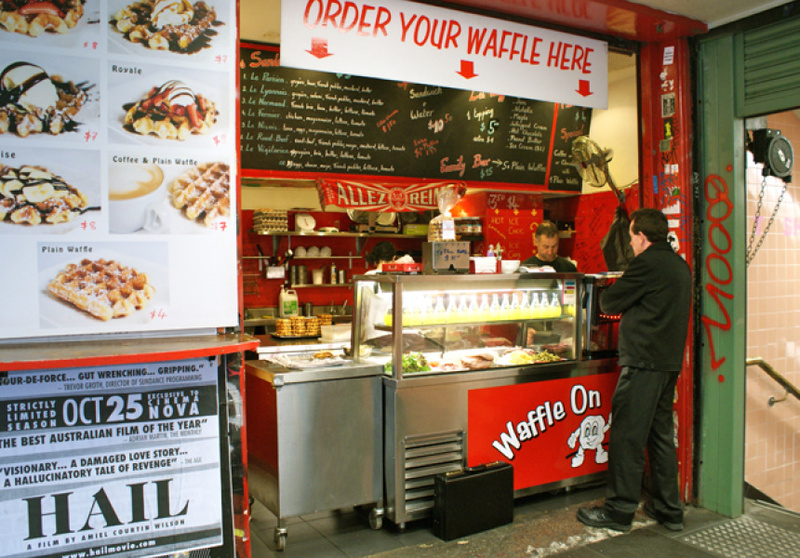 Located at the mouth of Campbell Arcade in the heart of the city, Waffle On has enticed Melburnians for almost a decade now. 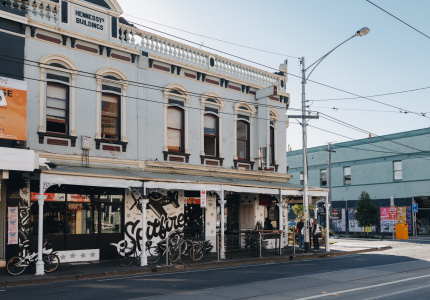 Although sheltered in a tiny recess amongst the horde of Degraves Street eateries, the venue has progressively gained popularity through word of mouth and become something of a CBD favourite. 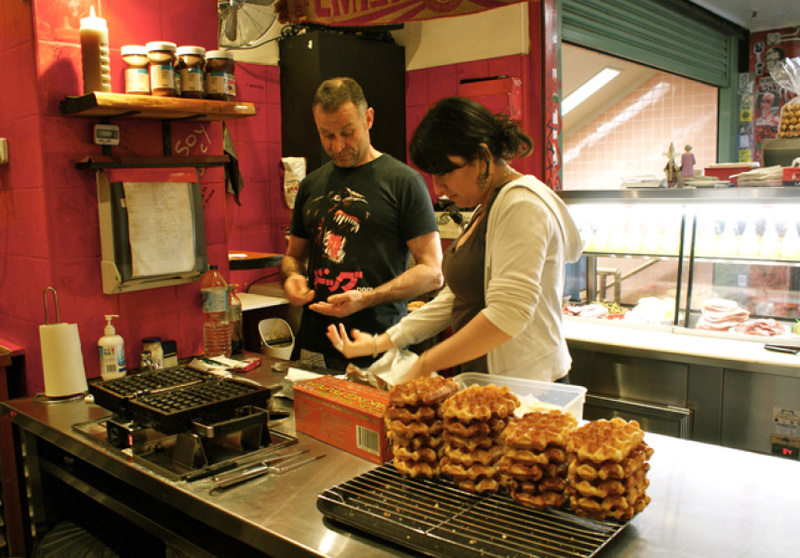 As with many current cafe tenants, Waffle On’s owner and French native Marc Laucher (formerly of Le Petit in Sydney) has a dichotomous view of the catering industry. 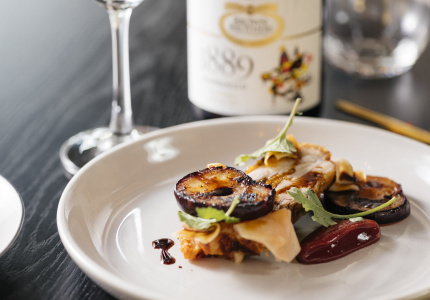 On the one hand, there are chains and on the other, proper and healthy cuisine. Waffle On ranks in that second category. At first sight, the place isn’t much to look at, but those who show up rarely regret it. 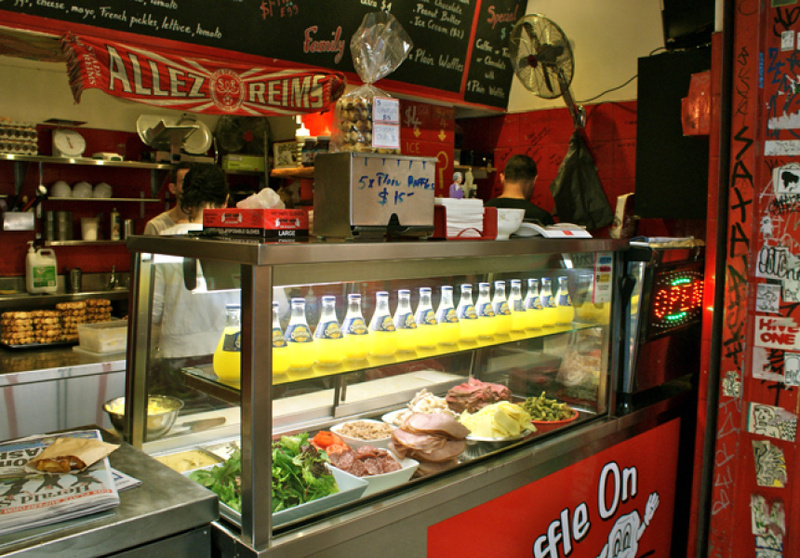 A concise menu is scribbled on the top chalkboard, featuring a choice of 10 à-la-minute sandwiches, from Le Parisien (gruyère, ham, French pickles, mustard, butter) to Le Niçois (tuna, eggs, lettuce, mayonnaise, tomato). 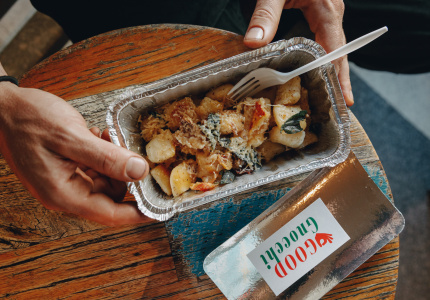 All are made with fresh local produce and, most importantly, French-style baguettes (crusty outside and soft inside). But it’s waffles that this tiny venture is all about. Laucher imports sugar beet from Belgium and the waffles are house-made and cooked right in front of you. If you’re already full, a pinch of icing sugar is enough. But if you’re not, try the Royale Waffle (topped with vanilla ice cream, hot chocolate and fresh strawberries) and wash down with one of the hot beverages on offer. 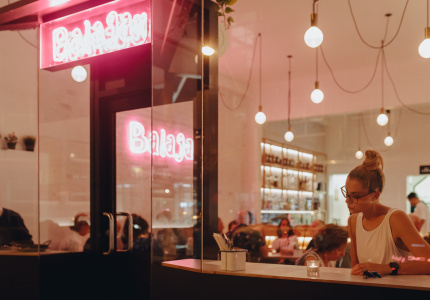 This is a more than adequate place to discover (or rediscover) traditional French and Belgian delights.